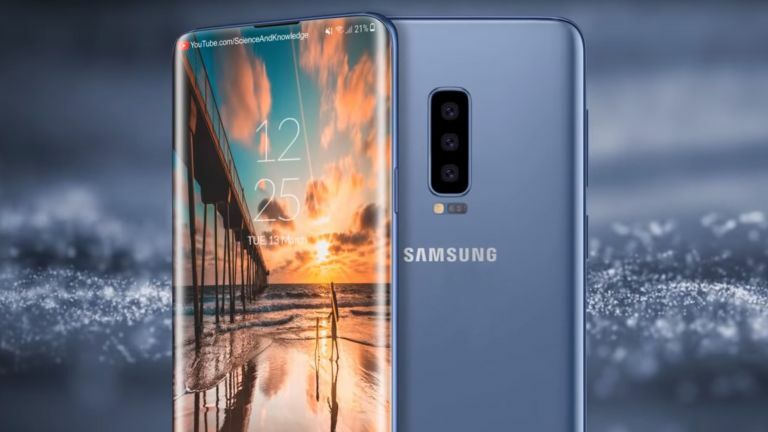 The Samsung Galaxy S10 is expected to arrive early next year and a new leak has revealed it should come in four different versions, so there's something for everyone. Yup, that's even more variants than the new iPhones. The Samsung Galaxy S10 has leaked in the code of Android 9 Pie and was spotted by the XDA Developer gang. We have already seen leaks of the S10 codenamed in three variants: Beyond 0, Beyond 1 and Beyond 2. Now a new model has leaked called Beyond 2 5G. No prizes for guessing what that version offers. The big jump forward for the S10, which Samsung promises will shake up the phone market, is a rumoured all-screen display. That means no bezels, no buttons and crucially no notch. The other big rumour is for an ultrasonic fingerprint reader under that fancy new display. Also expect high-end camera smarts including multi-lens offerings. Of course all the handset will vary on specs but the Beyond 2 5G could vary most. Samsung has already said it would reveal a 5G handset that was dedicated for that task, suggesting it wouldn't be an S10. So if this leak does lead to a 5G S10, expect it to only be that by name with few other specs in common. Want to know more details of how the four handsets break down? Check out our Samsung Galaxy S10 guide to learn everything we know right now.